The Smithsonian Institution serves as a national museum for the United States. It consists of almost 20 museums and numerous research centers that exhibit millions of objects and documents for public visitors and scholars to explore. The Smithsonian also runs and operates the National Zoo in Washington D.C. Long revered for its collections of artifacts and scientific research, the Smithsonian’s reputation became tarnished in 2007 after its top official resigned amid reports of lavish personal spending using institution funds. Other top executives were also caught up in the ensuing investigations, and more than two dozen reforms were adopted to provide better oversight of the Smithsonian’s fiscal management and business operations. The Smithsonian Institution was founded thanks to the generosity of British scientist James Smithson (1765-1829), who had never visited the United States. In his will, Smithson stated that should his nephew, Henry James Hungerford, die without heirs, the Smithson estate would go to the U.S. government for creating an “establishment for the increase and diffusion of knowledge among men.” After the nephew died without heirs in 1835, President Andrew Jackson informed Congress of Smithson’s bequest, which amounted to $500,000. Eight years later, Congress passed legislation in 1846 establishing the Smithsonian Institution. The bill was drafted by Indiana Democratic Congressman Robert Dale Owen, a Socialist and the son of Robert Owen, the father of the Cooperative Movement. It wasn’t until 1855 that the institution moved into its permanent home, the Smithsonian Institution Building on the National Mall, which became known as “the Castle.” As a result of Congress’ insistence on public access to the Smithsonian, open lectures were a regular part of early Smithsonian activities. The Smithsonian Building originally had one of Washington’s largest public lecture halls. These lectures were discontinued after a fire in the Smithsonian Building in 1865 destroyed the lecture hall. The Smithsonian’s first secretary was physicist Joseph Henry (1797-1878). Respected as one of the young country’s few major scientists, Henry also had a reputation for personal integrity. Supported by fellow scientist and Smithsonian Regent Alexander Dallas Bache, Henry strove to develop the Smithsonian into the nation’s first major research institute for science. Henry’s vision for the Smithsonian centered on his interpretation of Smithson’s will as a call for a scientific research establishment. During Henry’s tenure, the Smithsonian gained widespread acclaim not only as the country’s foremost scientific research institute but also as a facilitator of international scientific dialogue. Although Henry wanted the institution to be a center for scientific research, before long it became the depository for various Washington and U.S. government collections. The voyage of the U.S. Navy around the globe between 1838 and 1842 amassed thousands of animal specimens, a herbarium of 50,000 examples, shells and minerals, tropical birds, jars of seawater and ethnographic specimens from the South Pacific. These specimens and artifacts became part of the Smithsonian collections, as did those collected by the military and civilian surveys in the American West, such as the Mexican Boundary Survey and Pacific Railroad Surveys, which assembled many Native American artifacts, as well as natural history specimens. Spencer Fullerton Baird (1823-1887), an avid naturalist and collector, served as an assistant to Secretary Joseph Henry from 1850 to 1878. A pioneer in museum collecting and display, he was named the institution's second secretary upon Henry’s death. Whereas Henry had envisioned the Smithsonian primarily as a research institute, Baird saw Smithson’s gift as the means to develop a national museum. Baird’s vision coincided with a growing sense of nationalism surrounding the celebration of the U.S. Centennial. By 1878 Congress had formally given responsibility for the U.S. National Museum to the Smithsonian Institution. During the Baird years, the Smithsonian became a showcase for the nation’s history, resources, and treasures. The Smithsonian Institution consists of 19 museums, nine research centers, and a National Zoo. Altogether, the Smithsonian contains 137 million objects and documents, and it attracts more than 25 million visitors each year. It also works with 168 affiliated museums located across the United States. Smithsonian Museums: Anacostia Community Museum: History and culture of African American communities. Cooper-Hewitt, National Design Museum: Changing exhibitions of design, decorative arts, industrial design and architecture. Freer Gallery of Art and Arthur M. Sackler Gallery: Asian and a specialized collection of American art. Hirshhorn Museum and Sculpture Garden: Modern and contemporary art. National Air and Space Museum: History, science, and technology of aviation and space flight. Steven F. Udvar-Hazy Center: Located near Washington Dulles International Airport, this companion facility to the museum on the National Mall provides additional space for the Smithsonian to display the thousands of aviation and space artifacts that cannot be exhibited on the National Mall. The two sites together showcase the largest collection of aviation and space artifacts in the world. National Museum of African Art: Collection, research, and exhibition of African art. National Museum of American History, Behring Center: History of science, technology, society and culture in America. National Museum of Natural History: Dedicated to helping people learn about the natural world through research, collections, exhibitions and education outreach programs. National Museum of the American Indian: Collection, preservation, study and exhibition of the living cultures and history of the native peoples of the Americas. National Portrait Gallery: Portraits of distinguished Americans. National Postal Museum: Interactive museum of postal history and philately. National Zoological Park: More than 400 animal species in a 163-acre park. Smithsonian American Art Museum and its Renwick Gallery: Painting, sculpture, graphics, folk art, craft, and photography from the 18th century to the present. Smithsonian Institution Building, the Castle: The Smithsonian’s first building, popularly known as the Castle, houses the institution’s administrative offices and the Smithsonian Information Center. Arts and Industries Building: The original home of the National Museum, the Arts and Industries Building is currently closed in preparation for renovation. National Museum of African American History and Culture: Scheduled to open in 2015, it will be the first national museum devoted exclusively to the documentation of African American life, art, history, and culture. Smithsonian Institution Libraries: Unites 22 libraries into one system supported by an online catalog of the combined collections. It maintains publication exchanges with more than 4,000 institutions worldwide that supply Smithsonian scientists and curators with current periodicals, exhibition catalogs and professional society publications. Through preservation treatments, experts work to save the Smithsonian’s 1.5 million printed books and manuscripts. Astrophysical Observatory (SAO): Researches astronomy, astrophysics, earth and space sciences, and science education. Carrie-Bow Marine Field Station: Supporting the Caribbean Coral Reef Ecosystems Program, it studies coral reefs and mangroves of coastal Belize. Museum Conservation Institute (MCI): Researches the conservation and analysis of museum collection items. Center For Earth and Planetary Studies: Performs original research on planetary science, terrestrial geophysics, and the remote sensing of environmental change. Conservation Biology Institute: Specializes in the study, management, protection and restoration of threatened species, ecological communities, habitats, and ecosystems. Consortium for the Barcode of Life: An international initiative devoted to developing DNA barcoding as a global standard for identifying of biological species. Environmental Research Center (SERC): Examines linked ecosystems at the land-sea interface, especially those impacted by human activities. Marine Science: Studies the patterns and mechanisms of change in ocean environments. Marine Station at Fort Pierce: Studies the marine ecosystems of Florida. Migratory Bird Center: Studies and protects the grand phenomenon of bird migration. Natural History Museum Research & Collections: Pursues anthropology, mineral sciences, paleobiology and systematic biology. Tropical Research Institute (STRI): Investigates ecology, behavior and evolution of tropical organisms. Smithsonian Photography Initiative: Explores the integral roles photographs play in our lives. Smithsonian Scientific Diving Program: Promotes and supports the underwater research activities and diving safety of Smithsonian scientific divers. African Art Museum Conservation Department: The only conservation center in the United States exclusively devoted to works of African art. Freer and Sackler Galleries Department of Conservation and Scientific Research: Conducts and promotes the conservation and technical study of Asian Art. Museum Conservation Institution: Conducts in-depth studies of artistic, anthropological and historic objects using state-of-the-art analytical techniques to understand their provenance, composition and cultural context, and to improve conservation techniques. Asian Pacific American Program: Works to reflect Asian Pacific American experiences in Smithsonian programs and research. Center for Education and Museum Studies: Disseminates publications and research developed for the museum community. Center for Folklife and Cultural Heritage: Promotes the understanding and continuity of contemporary grassroots cultures worldwide. Encyclopedia of Life: Organizes and will make available via the Internet all information about life present on Earth. International Relations: Supports Smithsonian research and programs abroad. Latino Center: Advances understanding of Latino contributions to U.S. history, culture, and society. Lemelson Center for the Study of Invention and Innovation: Documents the role of invention in US history and encourages inventive creativity in young people. National Science Resources Center: Seeks to improve the teaching of science in the nation’s schools. Smithsonian Folkways: Nonprofit record label of the Smithsonian Institution, dedicated to supporting cultural diversity and increased understanding among peoples through the documentation, preservation, and dissemination of sound. Smithsonian Institution Scholarly Press: Supports publications by Smithsonian scholars in fields closely related to Smithsonian research and collections, particularly science, art and art history, aviation and space, and history and material culture. The Smithsonian archives hold an estimated 50,000 cubic feet of paper documents, seven million still photographs, and thousands of films and audio recordings. Archives of American Art: Maintains materials on the history of the visual arts in the United States. Archives of American Gardens: Approximately 60,000 photographic images and records documenting historic and contemporary American gardens. Eliot Elisofon Photographic Archives: Visual resources that encourage and support the study of the arts, peoples, and history of Africa. Hirshhorn Museum and Sculpture Garden Collection Archive: Maintains records on 11,500 objects, and is home to the Thomas Eakins Collection plus various other manuscript collections. Human Studies Film Archives: Maintains collection of historical and contemporary ethnographic and anthropological moving image materials, sound recordings, photographs, manuscripts, field notes, plus camera, sound, and production logs. Peter A. Juley and Son Collection: 127,000 photographic negatives that document the works of approximately 11,000 American artists. Ralph Rinzler Folklife Archives and Collections: Consists of numerous folk music holdings. American History Museum Archives Center: Preserves and provides access to documentary evidence of America’s past. National Anthropological Archives: Collects and preserves ethnographic, archaeological, and linguistic field notes, physical anthropological data, photographs, sound recordings, and other media created by American anthropologists. National Museum of the American Indian Archive Center: Collects and preserves papers, records, images, recordings, and ephemera that accurately reflect the historical and contemporary lives of Native peoples throughout the Western Hemisphere. Ralph Rinzler Folklife Archives and Collections: Houses two major collections: the Moses and Frances Asch collection, which consists of original material from Folkways Records; and a collection of records from Center for Folklife and Cultural Heritage projects, primarily the Smithsonian Folklife Festival. Research & Scholars Center, Smithsonian American Art Museum: Inventories of American painting and sculptures. Smithsonian Institution Archives: Consists of four divisions. The Archives Division collects and maintains the official records of the Smithsonian, and the papers of associated individuals and organizations. Its holdings constitute the official memory of the Smithsonian and document the development of American science, art, and technology, and the growth of museums in the United States. The Electronic Records Program supports the accessioning, management, and preservation of archival electronic records. 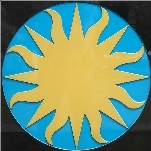 The Institution Archives is responsible for research, public programs, publications, and exhibits on the history of the Smithsonian Institution. The Oral History Program documents the careers of Smithsonian staff, and the Smithsonian Video History Collection provides visual information about the history of science and technology. The Technical Services Division supports preservation activities within the Smithsonian Institution Archives and offers preservation services to other units within the Smithsonian. National Air and Space Museum Archives Division: Supports the mission of the National Air and Space Museum by acquiring and preserving for public and curatorial use documentary materials of air and space flight. Office of Facilities Engineering and Operations: Provides a safe, secure, and quality-built environment for visitors and staff at all museums. Architectural History and Historic Preservation Division: Curates the Smithsonian’s diverse campus of buildings. Smithsonian Gardens: Manages environmentally sound garden landscapes throughout the Smithsonian grounds. Oversees the institution’s plant and horticultural collections. Office of Fellowships and Internships: Handles research grants, fellowships, and other scholarly appointments. Scientific Diving Program: Is a research support program in the Office of the Under Secretary for Science. Scientists from interdisciplinary fields use scuba diving as a research tool to study the underwater environment. Office of Policy and Analysis: Studies the characteristics, attitudes, opinions, and experiences of Smithsonian constituencies. Smithsonian Office of Protection Services: Oversees security at the Smithsonian Facilities. Other Smithsonian offices include: Office of General Counsel; Office of the Chief Information Officer; Office of Public Affairs (responsible for news and press releases); Office of the Inspector General; Office of Development; Office of Equal Employment and Minority Affairs; Office of Human Resources; Supplier Diversity Program; Office of Advancement and Philanthropic Giving; Visitor Services; Traveling Exhibition Service; Office of Sponsored Projects; and Office of Exhibits Central. According to USAspending.gov, the Smithsonian Institution paid out $2.182 billion this decade to public and private contractors. Nearly 21,000 contractor transactions have occurred since 2002, with the top services including maintenance of museums and exhibition buildings ($656.8 million), architect and engineering services ($141 million) and educational buildings ($77.7 million). The Smithsonian Institution came under fire from people within and outside the organization in 2011 for a planned exhibit involving shipwreck artifacts. A German company recovered the artifacts in the late 1990s after it was hired by Indonesia to bring up what remained of a 9th century Arab ship in the Java Sea. The Germans reportedly did not observe professional archaeological standards while recovering items that included ceramics and ingots. Most of the artifacts were later sold for millions of dollars, which went against archaeologists’ ethics. A 2010 decision by the Smithsonian Institution to include, and then pull, a controversial video from an exhibit caused a national uproar that ignited passions among religious conservatives and art lovers. The trouble began when a video by artist David Wojnarowicz was included in a large group show called “Hide/Seek: Difference and Desire in American Portraiture” at the National Portrait Gallery in Washington. The video (“A Fire in My Belly”) featured an image of ants crawling over a crucifix, which horrified some Christians. The Catholic League demanded the video be removed from the exhibit. Incoming Republican leaders of the U.S. House also called for the video’s removal, and threatened hearings on the controversy. In response to the criticism, the Smithsonian pulled the video. This move then provoked anger on the left. The Andy Warhol Foundation threatened to withhold future funding to the Smithsonian Institution unless the video was restored. Also, James T. Bartlett, a commissioner for the National Portrait Gallery, resigned in protest over the Smithsonian’s removal of the video. Others called for Smithsonian Secretary G. Wayne Clough to resign for caving into the pressure from conservatives. The video again stirred controversy when the Brooklyn Museum decided in 2011 to restore the video to the traveling exhibition of “Hide/Seek,” which was scheduled to appear in New York. This time, the Roman Catholic Diocese of Brooklyn spoke out against Wojnarowicz’s work. Wojnarowicz, who died in 1992 of complications from AIDS, publicly said the video conveyed how Jesus took on the suffering of the world, especially the pain of addicts. A report released in January 2008 revealed the Smithsonian Institution’s business unit was plagued by poor internal communication, diffuse organization, and inadequate oversight. The 70-page report painted “a picture of an institution unnecessarily divided against itself, a division that persists despite recently improved communication efforts,” said Marshall Turner, chairman of the task force that wrote the report. Smithsonian Business Ventures had been the focus of criticism. In 2006, it signed a contract giving Showtime Networks exclusive access to the Smithsonian archives for some documentary purposes. Gary M. Beer, chief executive of Smithsonian Business Ventures, resigned after being investigated by Congress and the Smithsonian’s inspector general for his oversight of the unit. Following the public fiasco over the lavish spending of former secretary Lawrence Small, another Smithsonian leader was caught enjoying luxurious accommodations on the museum’s dime. This time it was the former director of the Smithsonian Latino Center, Pilar O’Leary, who charged the office for personal expenses like salon, spa and gift shop purchases, solicited free tickets for the Latin Grammy Awards and stayed in four- and five-star hotels while traveling for business—often in upgraded rooms with ocean views and Jacuzzi suites. Smithsonian Secretary Lawrence Small resigned in March 2007 after published accounts revealed that the former banker had enjoyed lavish living, office, and travel expenses. The news created a crisis at the Smithsonian, and some lawmakers were threatening to cut the institution’s budget unless something was done about Small. One of Small’s biggest critics, Sen. Charles Grassley (R-Iowa), referred to the secretary’s “Dom Perignon lifestyle.” Small had billed the Smithsonian for $2 million in housing and office expenditures, as well as $90,000 in unauthorized expenses. Small spent nearly $160,000 on the redecoration of his offices shortly after he took control of the museum. The expenses included $4,000 for two chairs from the English furniture-maker George Smith, $13,000 for a custom-built conference table, and $31,000 for Berkeley stripe upholstery. During his six-year tenure included a pay boost that nearly doubled his salary, from $536,000 in 2000 to $915,000 in 2006. During this time, the Smithsonian raised less money from private donations than it had before Small was put in charge. Small also took 70 weeks of vacation, for an average of 10 weeks a year, while running the Smithsonian. Furthermore, he spent more than 60 days serving on corporate boards that paid him a total of $5.7 million. An independent report blasted the Smithsonian’s Board of Regents for standing by and allowing Small to enrich himself. Later that year, the organization’s founding director of the National Museum of the American Indian, W. Richard West Jr. was exposed for spending more than $250,000 over four years on first-class transportation and luxury hotels around the world, including more than a dozen trips to Paris. Over that time, he was away from his office 576 days. In 2006, the Smithsonian’s acting secretary, Cristián Samper, ordered curators at the natural history museum to edit the script for an exhibit on the Arctic to water down its message about climate change. The revelation had surfaced after scientists voiced concerns over Samper’s last-minute changes to the exhibit’s script to add “scientific uncertainty” about climate change, according to internal documents and correspondence. The scientists said the Smithsonian had wanted to avoid criticism from congressional lawmakers and global-warming skeptics in the Bush administration. Samper insisted there was no political pressure applied from anyone. Samper put the project on hold for six months in the fall of 2005 and ordered the exhibition to undergo further review by higher-level officials in other government agencies. Samper also asked for changes in the script and the sequence of the exhibit’s panels to move the discussion of recent climate change further back in the presentation. The exhibit opened in April 2006 and closed in November of that year. In 2005, the Smithsonian Institution got into trouble when its Museum of Natural History allowed a documentary based on “intelligent design”—the theory that life is so complex that a divine intelligence must have designed it—to be played at one of its theaters. The Discovery Institute, a Seattle-based organization dedicated to advocating intelligent design, had asked the Smithsonian for permission to screen the hour-long documentary, The Privileged Planet: The Search for Purpose in the Universe, for a private viewing and reception. The museum often rents out its theaters as long as the content of the material screened is not religious or political. Bruce Chapman, president of the Discovery Institute, said staffers at the Smithsonian’s special events office told him they had screened the film for content and gave their approval for the screening. The film was shown, but the screening fee required by the museum was returned and the museum withdrew its customary co-sponsorship. In the wake of the Lawrence Small scandal, the Smithsonian’s new permanent Committee on Governance issued 25 recommendations for overhauling the institution’s policies, including a new rule that prohibits staff members from serving on corporate boards. The Regents approved all of the recommendations including the creation of a new code of ethics. As part of one of the committee’s recommendations, senior executives of the Smithsonian will no longer be allowed to serve on the board of a for-profit company. As for executive pay practices, a compensation and human resources committee will now review the “philosophy and rationale” for senior compensation and propose a structure to the board by the end of 2008. In addition, the Smithsonian secretary’s travel and entertainment expenses will be subject to review by an audit and review committee that will report to the board at least annually. The chief financial officer will also conduct periodic audits of these expenses and report the results to the audit and review committee. I love Smithsonian museum.. I have been there so many times and still love to go there every time I'm in the city. I even bough an amber bracelet once.. Entrance security at space and science extremly rude unpleasant and downright scary. They actually yelled at the children in our group. Very negative impression at a nat'l treasure. In July 2015, Dr. David J. Skorton, who is currently president of Cornell University, will become the 13th secretary of the Smithsonian Institution, taking over from Wayne Clough. In that role, Skorton will manage the 19 museums and galleries of the Smithsonian, as well as the National Zoo. He’ll be the first physician to run the Smithsonian. Skorton was born November 22, 1949, in Milwaukee. When he was 6, his parents moved to Los Angeles, where his father, who had fled the 1917 Bolshevik Revolution in Russia, owned a shoe store. Skorton began his college career at UCLA, but soon transferred to Northwestern, where he earned a degree in psychology in 1970. He also graduated from medical school in Northwestern in 1974, but returned to UCLA for his residency and a cardiology fellowship in 1978-1979. In 1980, Skorton joined the faculty of the University of Iowa, where he would remain for 26 years. He held a joint appointment as professor of internal medicine and professor of electrical and computer engineering and of biomedical engineering. In 1992, he was appointed vice president for research and named interim vice president for external relations in July 2000. He was named president of the university in 2003. Skorton was recruited by Cornell University in 2006 to take over an institution that had been without a permanent leader since its previous president, Jeffrey Lehman, resigned suddenly the year before. He made an immediate impression when he and his wife, Robin Davisson, who’s a professor of molecular physiology, moved into the freshman dorm for the first week of his tenure as president. Skorton was able to lead Cornell through the recession and bring in some large donations to the university. He also had to weather a crisis brought on by a student’s hazing death. He shook up the campus’ Greek system, instituting changes to the pledging process. Being a physician and running a major institution are apparently not enough to keep Skorton busy. He is also a jazz aficionado (he had a jazz show on an Iowa radio station, and has played flute with Billy Joel and Wynton Marsalis) and has a black belt in tae kwon do. Skorton has also been chairman of the New York Racing Association, the governing body for horse racing in that state. He has said he hopes to keep his medical license current when he becomes secretary of the Smithsonian. Skorton, who is a vegetarian, has a son from a previous relationship. A native of Georgia, G. Wayne Clough has served as the 12th Secretary of the Smithsonian Institution since July 1, 2008. Clough earned his bachelor’s and master’s degrees in civil engineering from Georgia Tech in 1964 and 1965 and his doctorate in civil engineering in 1969 from the University of California at Berkeley. Clough was an assistant and then associate professor at Duke University (1969-1974) and an associate and then full professor at Stanford University (1974-1982). He moved onto Virginia Polytechnic Institute and State University, serving from 1983-1990 as a professor of civil engineering, head of the civil engineering department and finally dean of the College of Engineering. From 1993-1994, Clough served as provost and vice president of academic affairs at the University of Washington. In 1994, he became president of the Georgia Institute of Technology, where he served until 2008. During Clogh’s tenure, Georgia Tech’s academic reach stretched throughout the world, with research and education platforms in France, Ireland, Singapore and Shanghai; annual research expenditures increased from $212 million to $473 million; and enrollment increased from 13,000 to more than 18,000. While improving Georgia Tech’s reputation for science and engineering, Clough also emphasized the importance of humanities. He established two endowed chairs in poetry; expanded the music department; and encouraged the development of interdisciplinary degrees that combine technology with the liberal arts. Clough also raised more than $1.6 billion in private gifts. Clough is the only person appointed by the president to both the National Science Board (the governing body of the National Science Foundation) and the President’s Council of Advisors on Science and Technology. He is vice chair of the US Council on Competitiveness, a nonprofit organization focused on improving the competitive position of the United States in the global economy; co-chair of the council’s National Innovation Initiative; chair of the National Academies’ Committee on New Orleans Regional Hurricane Protection Projects, which advises the US Department of Defense; and a member of the board of directors for the National Action Council for Minorities in Engineering. Clough has published more than 130 papers and reports and has written six book chapters in geotechnical engineering. As secretary of the Smithsonian Clough receives an annual salary of $490,000.